We released Huo Cao Shan Cha Tou Brick 2017. This Cha Tou is from the same batch of tea we released earlier on pre-booking. 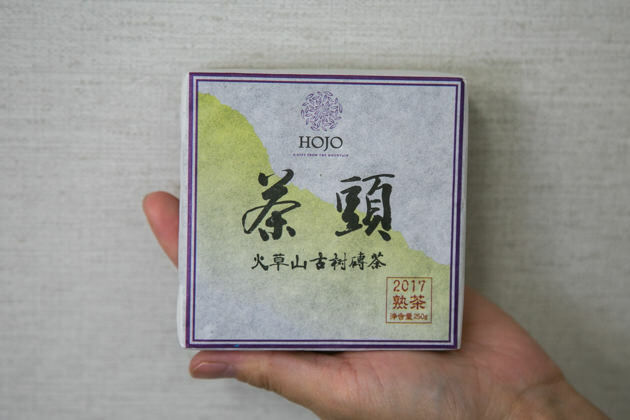 Despite tea was produced about one year ago and not aged for a long time, it already gives very soft, mellow and rich drinking sensation with thick fruity flavour like Chinese dates or raisins. Based on my experience, this tea will become even better if you manage to keep it longer. 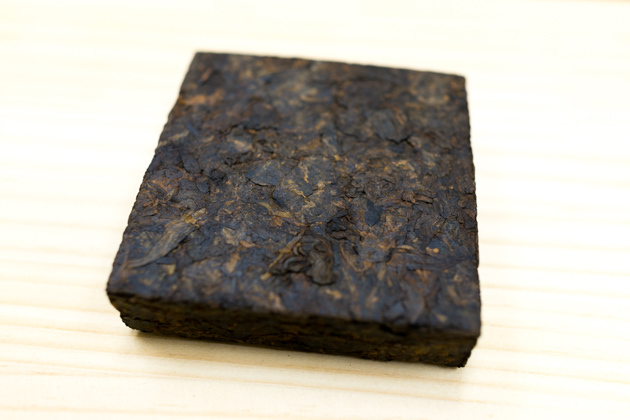 Cha Tou is the lump of ripe pu-erh tea which is formed during the microbiological fermentation. 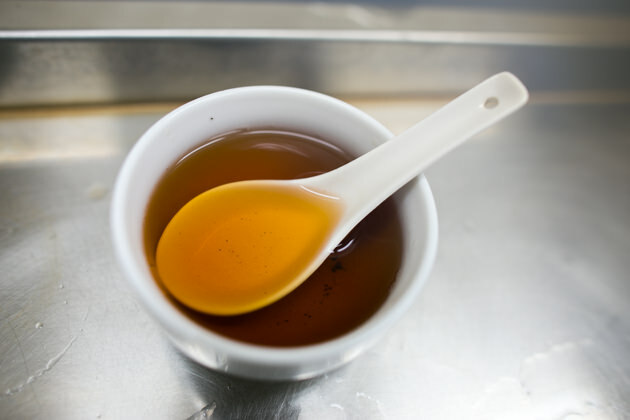 When the fermentation is well carried out, the tea lump was naturally composed because of the poly saccharide produced by the Actinomycetes. 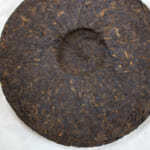 The tea lumps only formed if spring tea is processed into the ripe pu-erh tea. 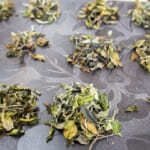 If summer or autumn tea, due to tealeaf lacks moisture and contains less tea constituents, the chances of getting Cha Tou from summer and autumn tea are low. 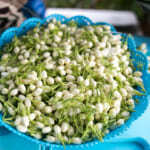 During the formation of Cha Tou, tealeaf is trapped inside the lump that contains no oxygen. 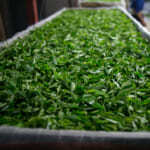 In addition, the fermentation of Actinomycetes increases the temperature up to about 70-degree C. Those tea leaves trapped inside Cha Tou will undergo very fast maturation process, and produces very unique and sweet flavour. Huo Cao Shan Cha Tou is formed during the production of Huo Cao Shan Ripe Pu-erh Tea . 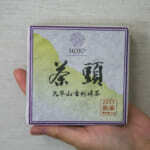 Huo Cao Shan Ripe Pu-erh Tea is one of the most popular ripe pu-erh tea in HOJO’s line-ups. 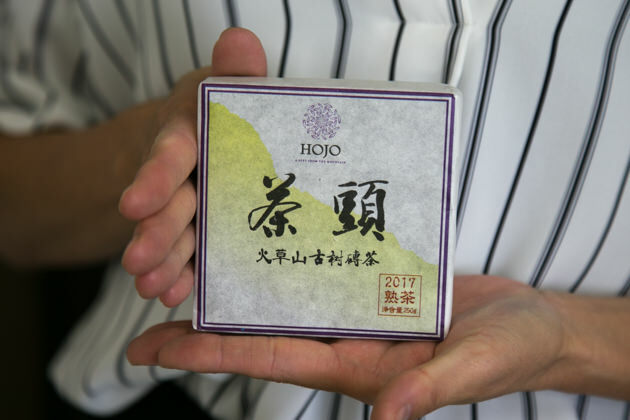 Those who have tried this tea may be surprised by its unique and unusual taste profile. In fact, it gives similar drinking sensation as high grade raw pu-erh tea. 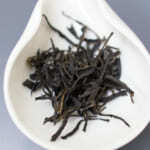 It gives extremely soft and long-lasting taste that indeed reminds us of raw pu-erh tea. 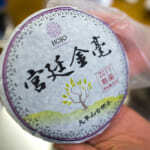 I also recommend Huo Cao Shan Ripe Pu-erh Tea for those who love raw pu-erh tea and usually seldom drink ripe pu-erh tea. 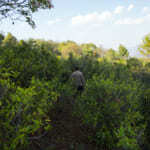 In making ripe pu-erh tea, it is very rare that high quality raw pu-erh tea is chosen as the raw material. The main reason is that the cost of high quality raw pu-erh is much higher yet customers already perceived the ripe pu-erh tea is of low-priced tea. 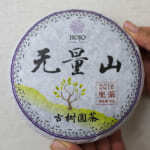 Thus, it is very rare that ripe pu-erh tea is made of high-quality spring tea. Cha Tou will develop very unique flavour when it is aged. Usually in my shop, Cha Tou becomes suddenly popular after it is being kept for more than a year or two. Please keep it in a warmer place in your house if you wish to age it well. After open the bag, please zip it back and keep it for about one to two weeks before you start drinking it. We called it “decanting” of tea. Tea will gently oxidize and swiftly develop fruity flavour and richer taste. It is just like decanting wine. Cha Tou is tighter compared to normal ripe pu-erh tea. So, to extract the tea taste, it is essential to infuse it longer in hot water Firstly, pour the boiling water into the teapot and keep it for 10 seconds to warm up the teapot. After pour off the hot water from the teapot, place 5-10g of tea into the teapot, pour the boiling water and leave it for 10 seconds. Please rinse one more time with boiling water for 10 seconds. For the first infusion, pour the boiling water and leave it for 30 seconds to 1 minute. For the second brewing, repeat the same if you prefer a stronger taste, or you can reduce the brewing time. For subsequent brewing, please infuse for 10 seconds or less (if you prefer a lighter taste). Usually, tea can last up to 6 brewing or more.